Most parents dread the constant onslaught of colds and viruses that kids have, and understandably so. Parents don’t have to throw in the towel or buy hand sanitizer in bulk. 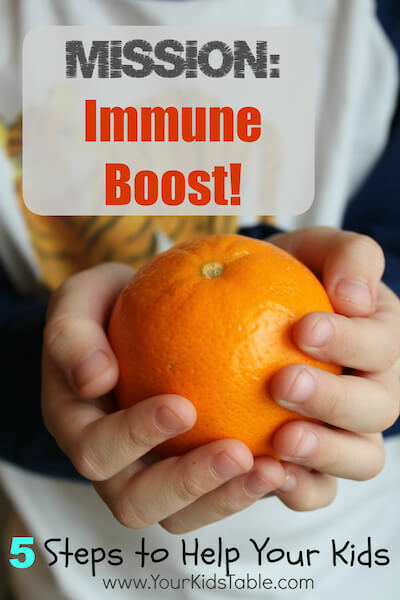 There are simple ways you can help kids boost their immune systems so they are able to fight off the constant onslaught of germs. 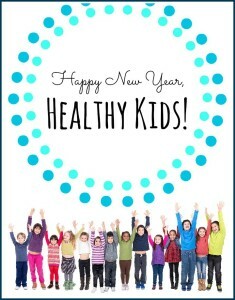 Alisha Grogan, MOT OTR/L is posting today at Your Kids Table as part of our Happy New Year, Healthy Kids series. She’s sharing her best tips for helping your kids get the immune boosting foods they need this cold and flu season! 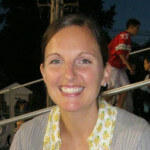 Alisha is a mom to three wonderful boys and a pediatric occupational therapist that specializes in feeding difficulties and sensory integration in the Pittsburgh area. 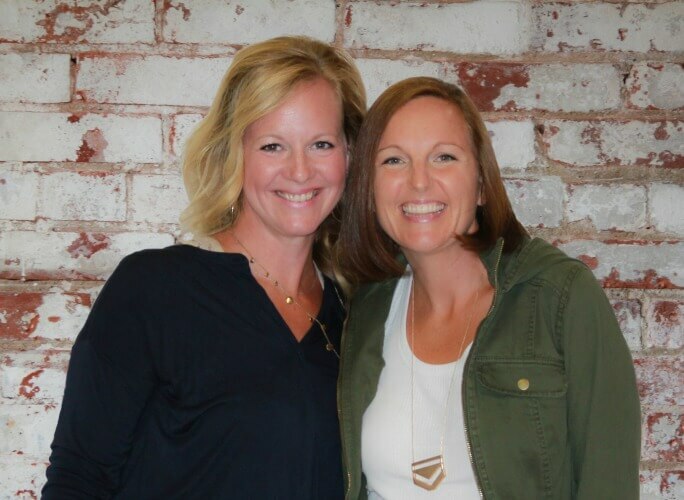 She also offers international consultations and writes at Your Kid’s Table, which combines all of her feeding and sensory knowledge as a mom and OT. You can find her on Facebook, Twitter, and Pinterest. HAPPY NEW YEAR, HEALTHY KIDS! As moms and dads, we all share the same mission: to find the most effective ways to raise happy, healthy kids. 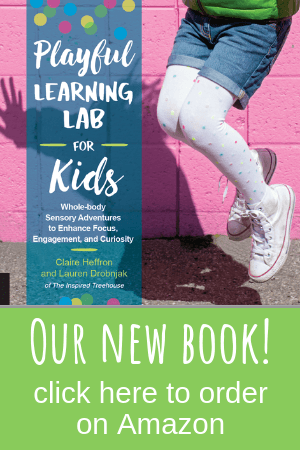 That’s why we’re getting back to the basics – to bring the focus back to real life ideas from trusted child development experts. We’ve called on some friends and colleagues to chime in with their best ideas for raising kids who are happy and healthy from the inside out. For the rest of the month, this series of posts will cover everything from creativity and sleep to social development and nutrition (and much more! ).